Looks cozy. I’ll take it. I got rid of the last of Mon’s dud eggs this morning and she really sprang to life. 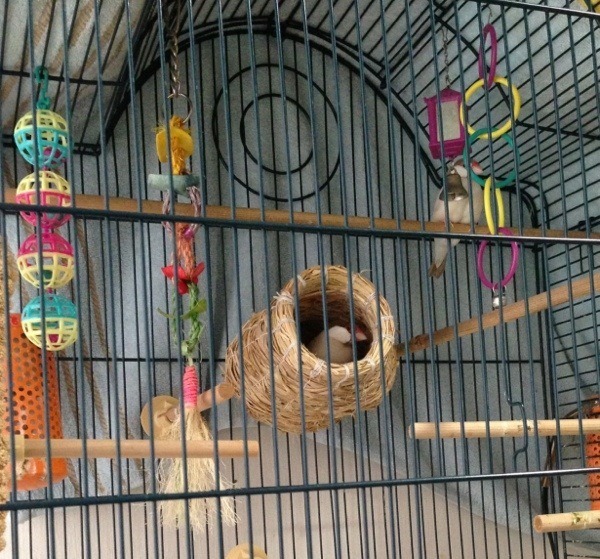 She finally left the nest and she and Monta have been staring at each other a lot. 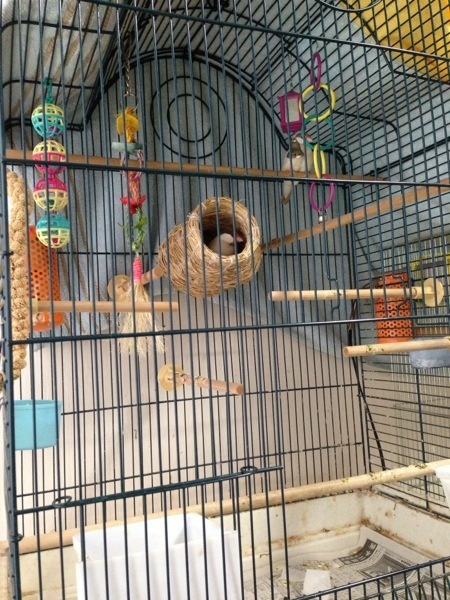 When I opened both cages they both hang around me, but near each other. 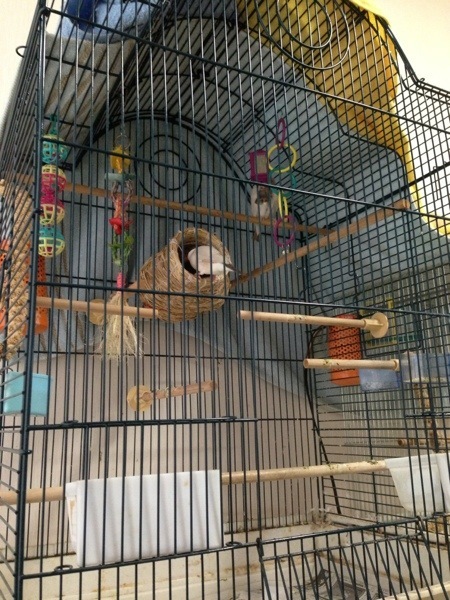 I even put Monta into Mon’s cage and he explored – and even entered and hanged out in the nest for a while.